A community group is seeking to boost homeownership in Back of the Yards as a way to reduce violence and raise residents' quality of life. BACK OF THE YARDS — One of Chicago's most violent neighborhoods is also one of the neighborhoods hit hardest by the Great Recession and foreclosure crisis a decade ago. Now one community group is seeking to boost homeownership in Back of the Yards as a way to reduce violence and raise residents' quality of life. The Resurrection Project, a Pilsen-based homeownership advocacy group, is hosting its Full Circle Homes Housing Fair Saturday at Back of the Yards High School, 2111 W. 47th St. The even will run from 9 a.m.-3 p.m.
At the event, residents will have the chance to talk to home buying advisors and attend workshops designed to help community members buy homes. The Resurrection Project is bringing in its group-affiliated Realtors and mortgage lenders, as well as experts that can discuss down payment assistance, foreclosure prevention, credit building and refinancing options, the group has said. Some attendees can even qualify for $15,000 in down payment assistance, according to a flier for the event. The aim of the event is to get Back of the Yards residents into homes they own, but to also increase the financial literacy of residents and to educate on the benefits of homeownership, said Pedro Diaz, director of financial wellness for the Resurrection Project. "Back of the Yards, it's one of those communities that's been hit hardest by the foreclosure crisis. It needs some revitalization," Diaz said. "We want to make sure it's an active community. What better way than to own a home in the community?" Back of the Yards did suffer more than most neighborhoods during the foreclosure crisis that peaked around 2008, when there were nearly 7 foreclosure filings per 100 homes in the neighborhood, according to the Institute for Housing Studies at DePaul University. 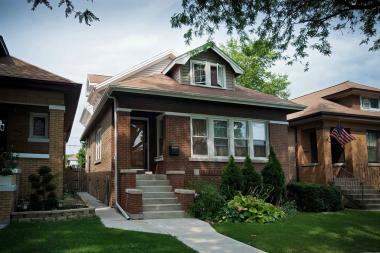 In 2013, 1 in 6 houses in the area were vacant, tied for most with Englewood, according to Crain's Chicago Business. Since the foreclosure crisis, gun violence in Back of the Yards has seemingly gotten worse. "There is a high number of vacant properties," Diaz said. "They can be used by gangs. They make the streets unsafe. The more we're creating homeowners to take over those, it definitely makes a difference." Numerous studies have shown homeownership to be a stabilizing factor in many neighborhoods: it makes residents more permanent and therefore more interested in the community, decreases blight and makes for a more communal atmosphere, according to one study. Beyond neighborhoods benefits, homeownership can still be a key to a middle-class life for many Back of the Yards residents, Diaz said. And the area is still affordable, unlike Pilsen, where Diaz said many of his clients can't afford a home even with the group's help. "This is an asset that people can build around," Diaz said. "They want to buy but the saving's aren't there. We want to get involved." For additional information on Saturday's housing forum, call the Resurrection Project at 312-880-1137 or email homes@resurrectionproject.org.